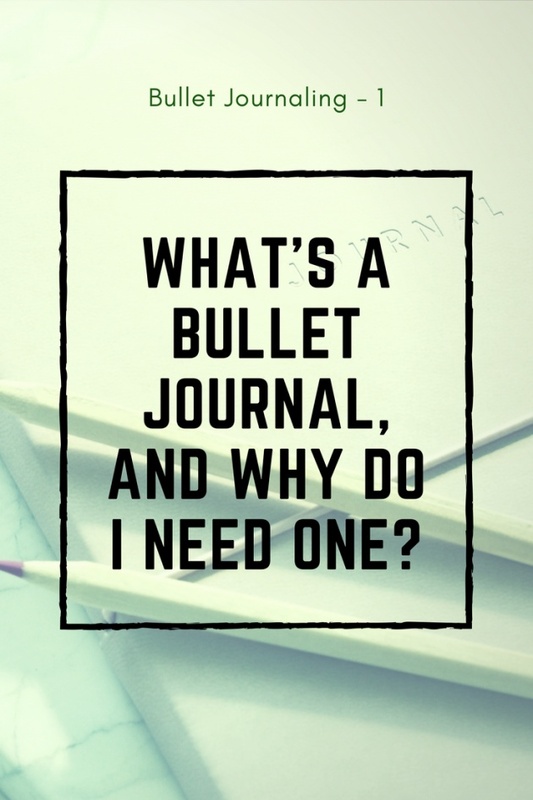 Bullet Journaling # 1 - What's a bullet a journal, and why do I need one? This blog's topic is something you probably heard about at some point, since it's become so widespread: keeping a bullet journal. Alright, so first of all, you don't need one. It works for some people, it doesn't for others, and both facts are totally OK. Truth be told, before finding more about it and actually trying for myself, I didn't even see why this was a thing, and why it should be of interest to me; but a couple of friends were using that system for journaling and organising their days, and it kind of looked like it was also fun, so I decided to try it this year, with the view of dropping it if it became too much of a chore and didn't prove useful. One thing I want out of the way before starting is the following. In a previous post about managing time, I mentioned a problem that I call talking about the Thing, instead of doing the Thing. This was one reason to my wariness about bullet journaling, because I know from experience that it's very easy to fool oneself into believing we're being productive while actually procrastinating—for instance, by writing about what we're studying, instead of, well, just studying. So if you suspect you're this kind of person, make sure to keep this in mind when approaching bullet journaling—it's quite easy to get sucked into decorating it, sketching little drawings in it, colouring, and other activities that are nice and relaxing, but won't get your chores done per se. 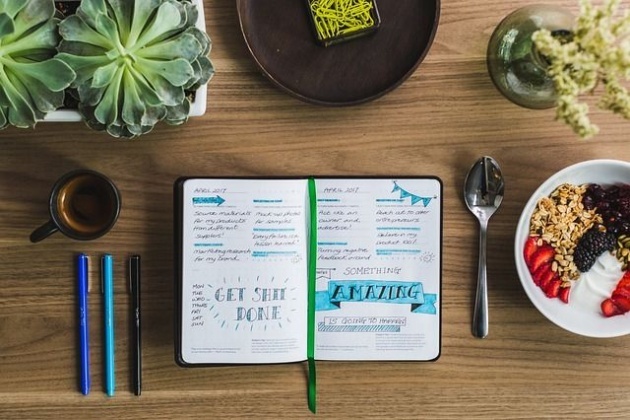 The concept of bullet journaling (often shortened as 'BuJo') came from a designer named Ryder Carrol. You can find the original BuJo website here, along with an introduction video about its principles. I have embedded it here for ease of viewing. Carrol sees this as 'an evolving, adaptable practice meant to be self curated as you determine what works best for you'. Translation: contrary to a ready-made yearly planner, you get to create and organise your journal's pages as you want, following a method that works for you. This means that it's likely to demand some trial and error, but I've found this is also an interesting side of it: I discovered that what I thought worked for me wasn't what actually worked. A typical bullet journal as envisioned by Carrol rests on the principle of rapid logging, which makes use of four components: topics, page numbers, short sentences, and bullets. Topics: Short descriptive titles at the top of each page. These mean to help you clarify your entries. For instance, a topic can be 'List of series to watch on Netflix', or 'Week — April 16-22'. Page numbers: Self-explanatory. As you start filling your bujo, you'll want to be able to find a specific topic quickly. Short sentences: This is not a traditional journal; short objectives and tasks are key. Bullets: Tasks and events are marked with different types of 'bullets' or 'symbols' that help you recognise their types, as well as their completion levels. An Index, listing which months, lists etc. are on which pages of your journal. Obviously, this makes it easier to go to a specific section. Example: 'April 2018, p.30-45'. The Future Log, for items that must be scheduled months in advance. You'll only log these items in the simplest way possible there: details are to be kept for daily logs. 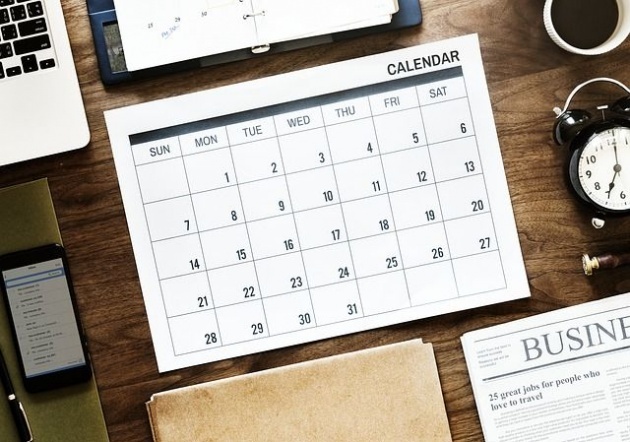 The Monthly Log, where you get an overall view of a specific month, allowing you to see at a glance the important appointments and events for the month. The Daily Log, for day-to-day logging and adding all the details about each specific task that you couldn't add on other types of logs. There can be variations here: for instance, since I realised I don't need one page per day, I use a mix of Daily and Weekly log, with each week spread over 2 pages. 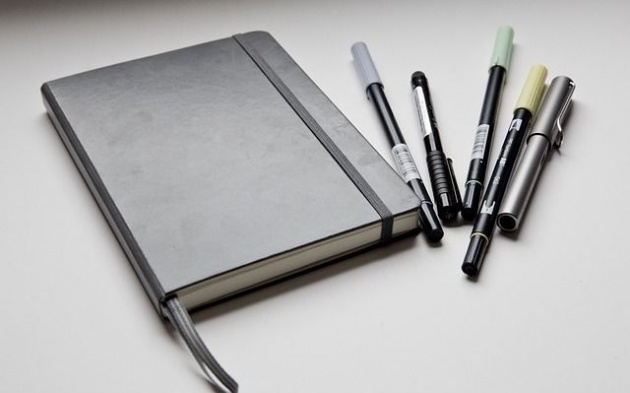 What's the difference with a traditional notebook planner, you'll ask? It depends on what you do with your bujo. If you 'build' it to exactly mirror your average planner, then you're probably just better off keeping to the traditional way (not that it's bad—remember, it has to work for you!). Mine isn't so far from that, come to think of it, but the difference is in the other details I add: a couple of pages where I list all the things I want to sell online, a separate set of pages where I'm jotting down notes for a story I want to write (enough to fill a few pages, but not to warrant a notebook of its own), a 'habit chart' where I note down whether I exercised or caught up on my reading on that specific day, and so on... Now where would I find two blank pages to that effect in a traditional notebook planner? Where's the fun in this? It's all about chores! The fun part is that organising your journal however you like also means decorating it however you like. You don't have to be a full-fledged artist with terrific skills—whatever you'll enjoy doing, is what will work for you. I sometimes doodle in my own bujo, but mostly what I enjoy is writing down coloured titles and sometimes pasting a postcard here, a concert ticket there, little things that will remind me later of specific events. 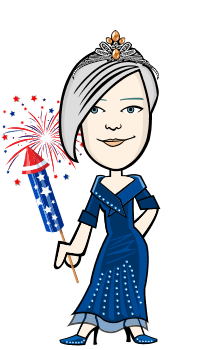 For this is also what a bullet journal will bring you: a quick way to reminisce on past activities, once you have several journals under your belt. No matter how you choose to fill them (doodles, elaborate calligraphy, washi tape, etc. ), they'll probably still be 'prettier' than ye olde average notebook that you'll just throw away after the year is over. It's memories, without having to write as much as you'd with traditional journaling (or maybe wouldn't do, considering the time it takes). Isn't crafting your own journal a waste of time? It might be, hence my opening about 'doing the thing'. It all depends on how your brain functions when it comes to tasks. Mine is very keen on boxes to fill and list items to cross out, so if spending 15-20 minutes while watching an episode of a series to prepare my next month's spread is the price to pay for me to keep up with this journaling, planning & daily habits charts, then yes, I'd say it's worth it. I'll get into more details about tasks, bullets, lists and other logs in a next post, along with more concrete examples of how to mark down your tasks and use such a journal. There is much more to say about bullet journaling than a single blog post can contain! @Artbytes It's fun (and it's totally possible to strike a good balance of 'useful vs. spending too much time decorating it' ^^). this was what you told me ! thanks!